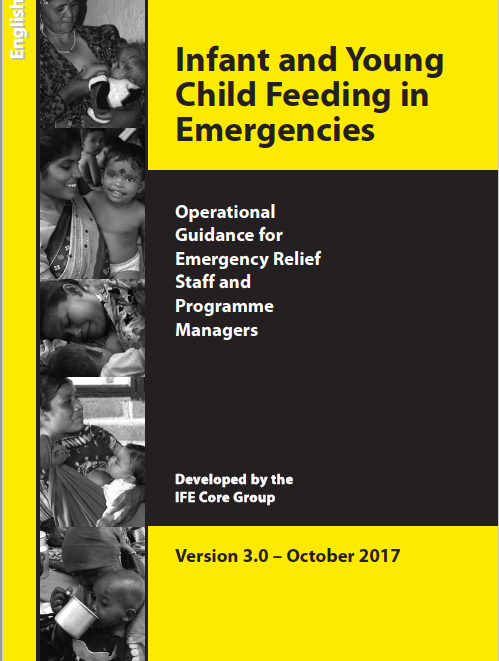 The Infant Feeding in Emergencies (IFE) Core Group has recently finalized the 3rd version of the Operational Guidance for Emergency Relief Staff and Programme Managers, updated in October 2017. IBFAN is a member of the IFE Core Group and contributed directly to the review and update of the Operational Guidance. Version 3.0 update was undertaken by the IFE Core Group in consultation with international, regional and country informants, co-led by the Emergency Nutrition Network (ENN) and UNICEF and coordinated by ENN. For more information see Baby Milk Action’s article. Download the Operational Guidance here.